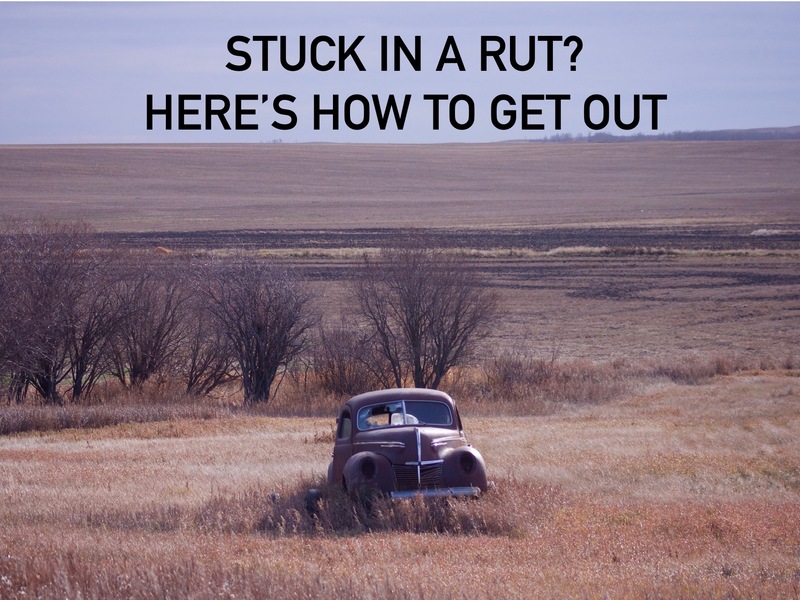 Do you ever feel like you're stuck in a rut? Like you're spinning your ministry wheels and making no progress? You're not alone. Most of us at one time or another, have felt stuck. The important thing is getting out of the rut so you can continue moving forward. How do we get stuck? Often it's when we are in a predictable ministry routine. We get comfortable and start "playing it safe." We start feeling bored and unfulfilled in our role. We begin to be satisfied with mediocrity and can be lulled to sleep by things being "okay like they are." If you're tired of being in a rut, you can get out. Here's how. It's simple, but it works. If you want to get out of a rut, then do these things. 1. Realize that when you're in your comfort zone, it can lull you to sleep. You become satisfied with the status quo. Your position doesn't challenge you anymore. You can do what you do in your sleep. 2. Push yourself. Decide you're not going to settle for where you are now. Motivation to get out of a rut must come from inside you. Get up. Rise up. Stand up. Shake off the dust that has accumulated and prepare to move out of your comfort zone. 3. Try something outside of your comfort zone. One of the best ways to get out of a rut is to try something that will take you outside of your comfort zone. It will take discomfort to pull you out of the rut you're in. Are you willing to go there? Growth and change may be painful, but nothing in life is as painful as staying stuck in a rut. The apostle Paul said it like this. Paul, stayed out of a rut by having an attitude of "pressing" forward. He kept his eyes on Jesus. He remembered his calling and the race that was still before him. A forward focus keeps you from getting stuck in a rut. Adjust your focus back to Jesus. Focus on the calling God has on your life. Don't be satisfied with what has happened in the past. Your best days of ministry are ahead of you. They are lying outside of your current comfort level. Get out of the rut you're in and go for it!